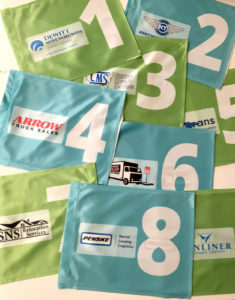 Hole sponsorship, complete with customized flags, helped a client with their fund-raiser. “Move for Hunger“, a non-profit organization, used Mini Golf To Go’s portable mini golf course as a fund-raiser at the recent AMSA Convention in Houston, TX. Move for Hunger is a cool idea to help people when they move. Move for Hunger works with relocation companies around the country to reduce what people have to move. Many times people “throw away” a bunch of stuff when they move. A lot of that is food. Move for Hunger works with relocation companies to take that food and deliver it to a family in need instead of letting it be thrown away. What a cool idea. To Go Events was thrilled to have a chance to work with such a creative organization and we wish them the very best of luck. 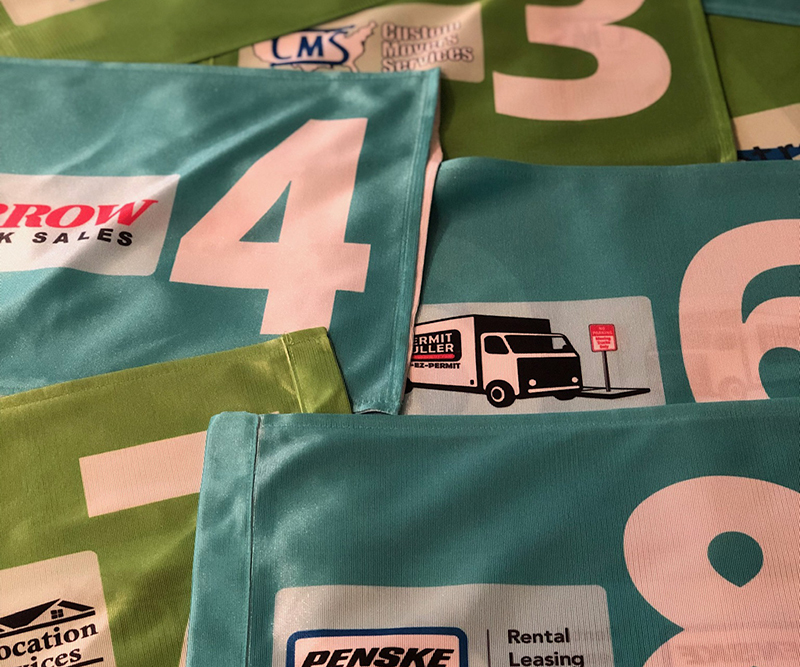 We delivered and set up the course complete with sponsored and customized flags on each hole. The sponsorships helped them cover the costs of the course at the convention and made it personalized to their event. We’ll add pictures of the set up course at the Houston Marriott Marquis soon. Our sister company, Fun Fotos To Go, has the facilities to create the custom flags and other custom signage in house, making their planning process easier as they had to deal with only one company to cover everything. Keep in mind that this kind of synergy with our To Go Events Family is one of the many things that separates us from the other guys. We’d love a chance to work with your organization too. Just give us a call at 800-462-4424 ext. 1 or 512-431-9579 or, better yet, fill out a contact form and we’ll send you full info ASAP. Until then… we’ll see you on the portable mini golf course soon!